In the weeks before the 2009 inauguration, Michelle Obama’s fashion sense and its obvious influence were popular topics in the press coverage of the incoming first lady. Stories made frequent comparisons to Jacqueline Kennedy, the last first lady to excite this much fashion interest. The media also reported on Mrs. Obama’s intentions to give support to military families and working mothers and to encourage public service. Her earlier interview comments about being “mom-in-chief” and initially concentrating on her daughters elicited praise and debate. Some in the media and public hoped that after beginning as “first mom,” the lawyer and former hospital executive would continue to expand her role. 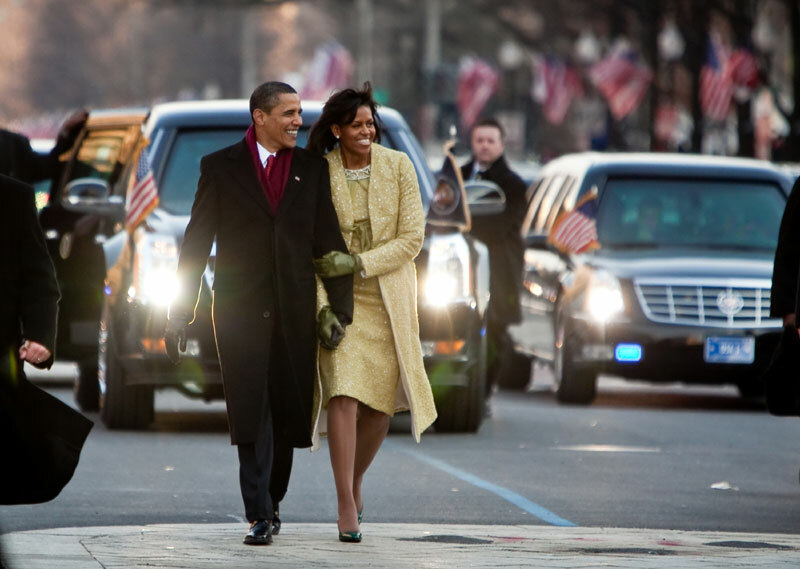 They believed that the White House life and work of Mrs. Obama, the first African American first lady, also had a symbolic component. She could be an inspiration especially for working women, families, and African Americans. 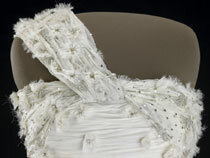 Michelle Obama wore this one-shouldered white silk chiffon gown embellished with organza flowers with Swarovski crystal centers to the 2009 inaugural balls. 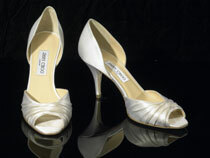 It was designed by Jason Wu. 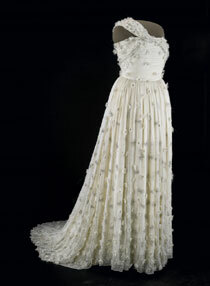 No details of the dress were released before the balls and Wu did not know that Mrs. Obama had selected his design, which he intended to symbolize hope, until he saw it on television. 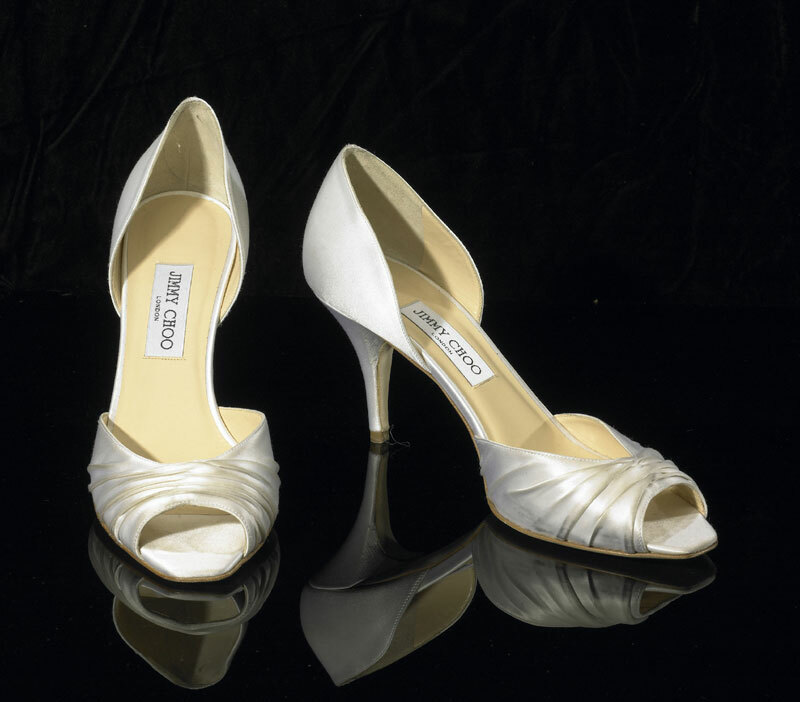 With the gown, Mrs. Obama wore shoes by Jimmy Choo and diamond earrings, bracelets, and a ring designed for her by Loree Rodkin. 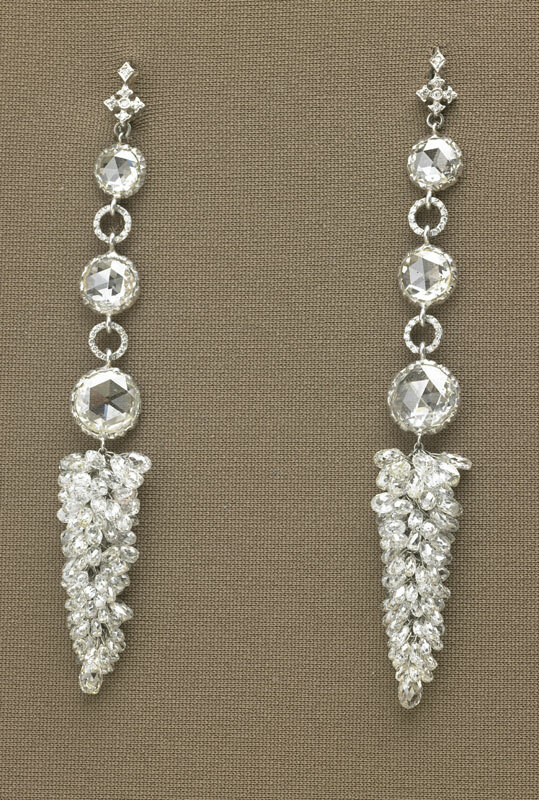 “Inaugural Earrings” – triple rose-cut diamonds with a center cluster of diamond briolettes; set in white gold. Total carat weight is 61. 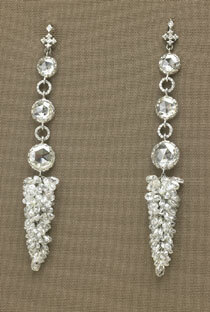 The earrings were designed by Loree Rodkin. 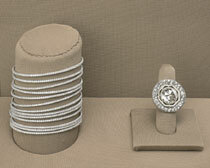 “Michelle Signet Ring” – white gold and black rhodium with rose-cut diamonds and a rose-cut diamond center stone. Total carat weight is 13. 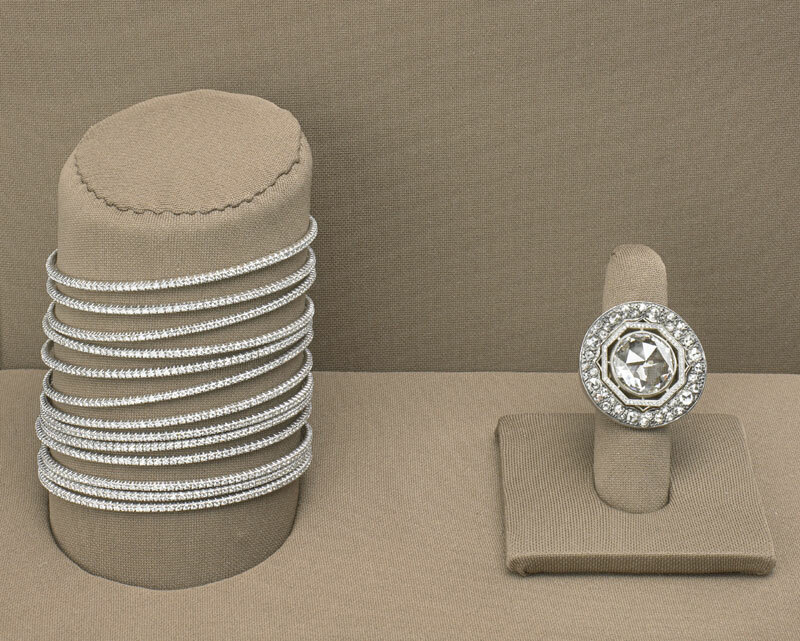 The ring was designed by Loree Rodkin. Bracelets – 13 white gold and diamond bangle bracelets. Total carat weight is 13. The bracelets were designed by Loree Rodkin.